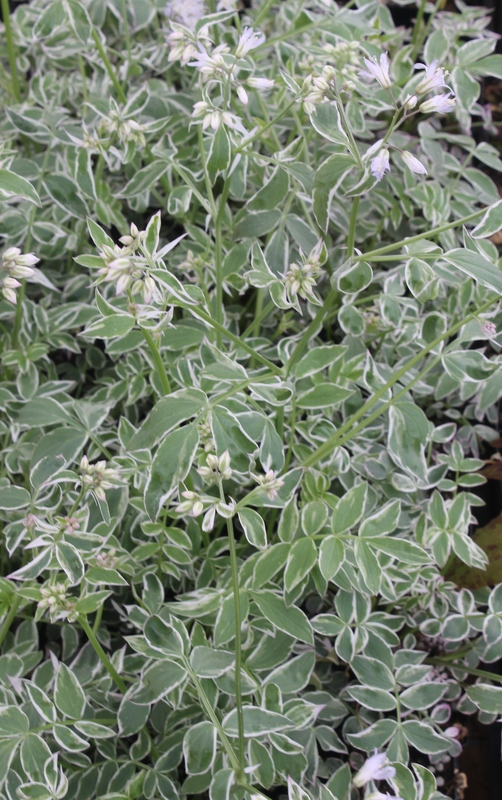 Another great spring perennial is this variegated form of the native woodland Jacob’s Ladder, Polemonium ‘Touch of Class’. Average to moist woodland soils are perfect for this easy-to-grow shade perennial. This entry was posted in Plant images from the garden and nursery and tagged Woodland Garden, woodland gardens by Plant Delights Nursery. Bookmark the permalink.